Eoutlet bring you a brand new range of luxury Leather iPad cases in the form of the Toffee Leather Pocket Case For iPad/iPad 2/iPad 3. 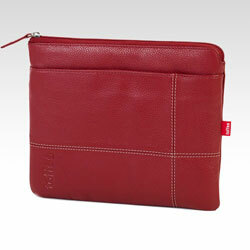 Crafted from premium pebble-grain leather, the Toffee Leather Pocket Case For iPad/iPad 2/iPad 3 is pure luxery designed perfectly for your iPad. 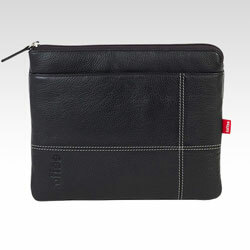 With a padded interior lining, the Toffee Leather Pocket Case For iPad/iPad 2/iPad 3 is not only stylish, but has your iPad’s safety at its heart. Whilst in the case, your iPad will remain safe and scratch free. 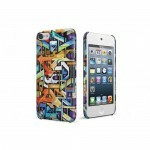 Toffee have even included a handy front pocket so you can store keys, cards and most importantly of all, your iPhone. Adding little bulk to your iPad, the Toffee Leather Pocket Case For iPad/iPad 2/iPad 3 is the ultimate in slimline iPad accessories, small enough to fit into a backpack or to carry as a stand alone case. Yet with all this sleekness, Toffee have still made the Toffee Leather Pocket Case For iPad/iPad 2/iPad 3 so it can fit the iPad 2 in with a Smart Cover, reducing the hassle of having to take this off everytime you want to use the Toffee Leather Pocket Case For iPad/iPad 2/iPad 3 and it also means that your iPad has double the protection when not in use. The Toffee Leather Pocket Case For iPad/iPad 2/iPad 3 is the ideal iPad accessory for anyone looking for ultimate protection without compromissing on style. 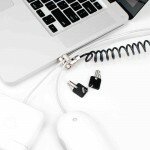 Suitable for all generations of the iPad including the brand new iPad 3. 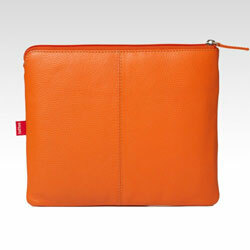 The Toffee Leather Pocket Case For iPad/iPad 2/iPad 3 is available in Red, Orange or Black.